Hey! My name is Chuck and I am a 1 year old Staffordshire Terrier mix! 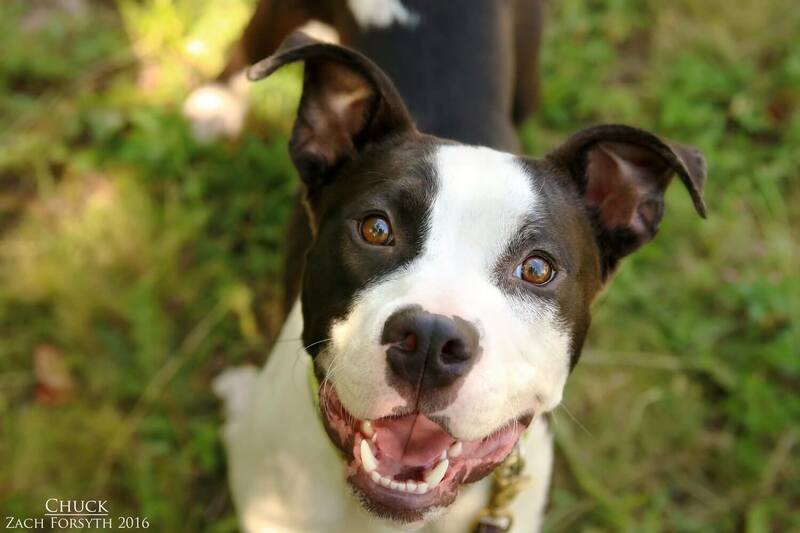 I am just a happy go lucky energetic guy looking for the right people to find me! I like being active and enjoy going for walks or playing with my doggy pals at Pixie! I even have girlfriend who I just absolutely adore playing with. I am a wiggly guy with extra bounce in my step who needs a bit of basic training to establish some manners. I love toys, especially ball! Even though I am a very fun guy who loves attention, I am very independent and value play much more than snuggles. Because of the pep in my step, I need to be in a home without kids or cats with adopters who own their house, due to certain breed restriction legislation for renters. I would be a great pal for the active runner or hiker who loves the outdoors as much as I do. Care to hop into a new adventure? Fill out an application today, so we can meet! I come to you neutered, vaccinated, and micro-chipped with an adoption fee of $250.